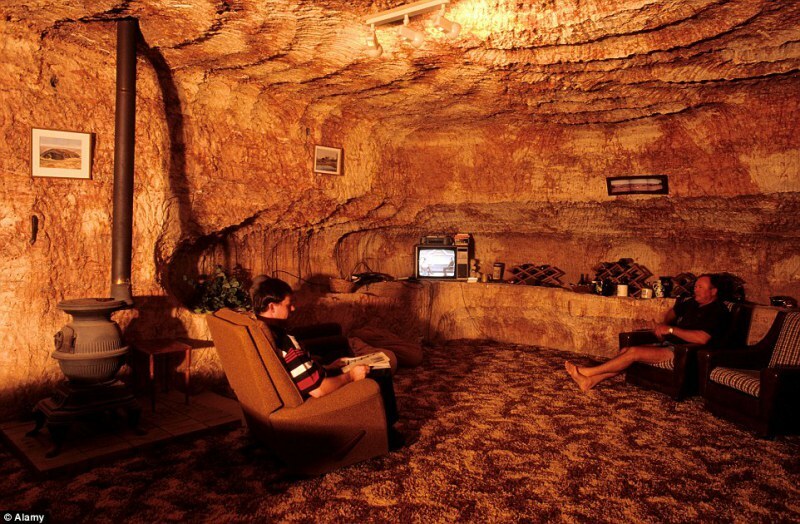 500 miles from the nearest city, deep in the Australian Outback is the remote and bizarre town of Coober Pedy. 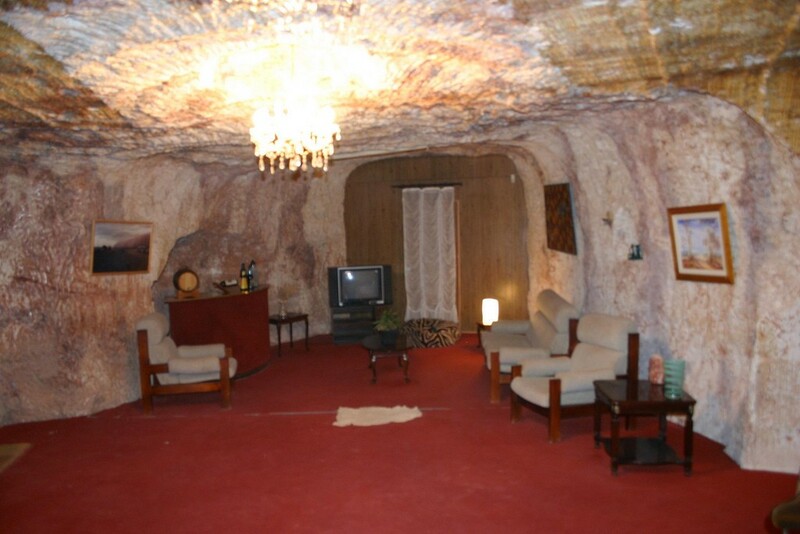 But this is no ordinary town – it is one of the weirdest towns in the world. 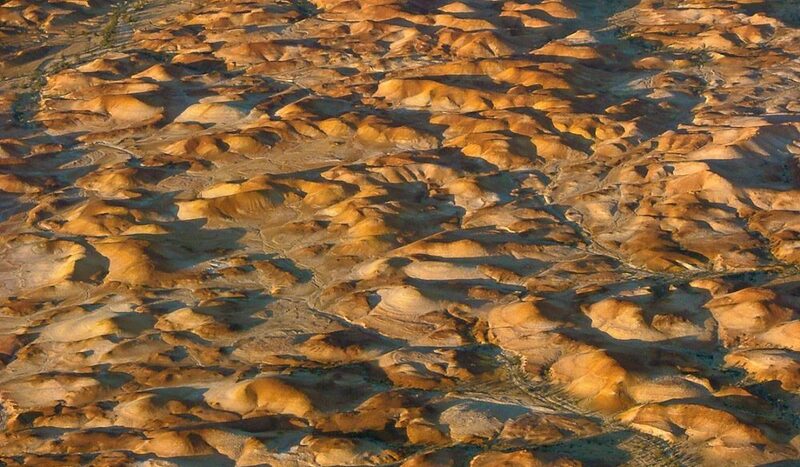 When you look around all you can see is a scorched earth landscape with strange mounds of earth but distinctly devoid of life. But this is a busy town – home to 3500 people. So where are they all? The answer is underground. 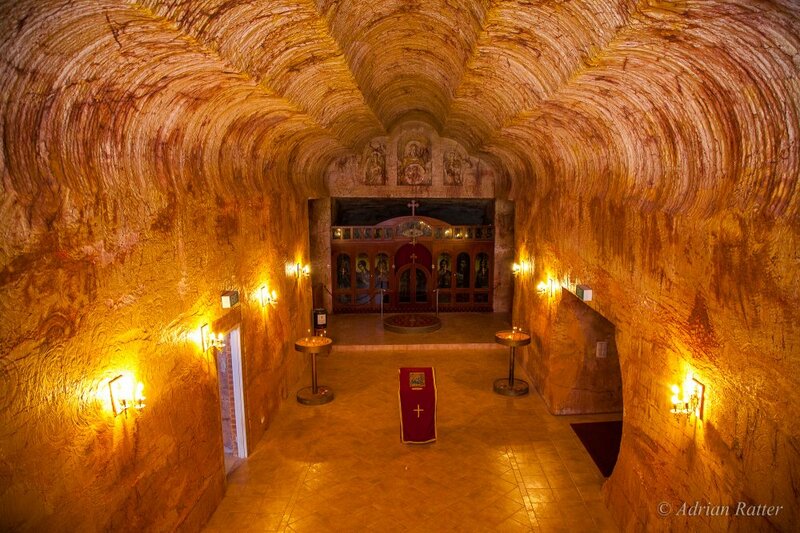 Shops, houses, restaurants, bars, a church and even a campsite can all be found beneath the earth. For hundreds of years people have been coming to this hot barren inhospitable place to make a better life. 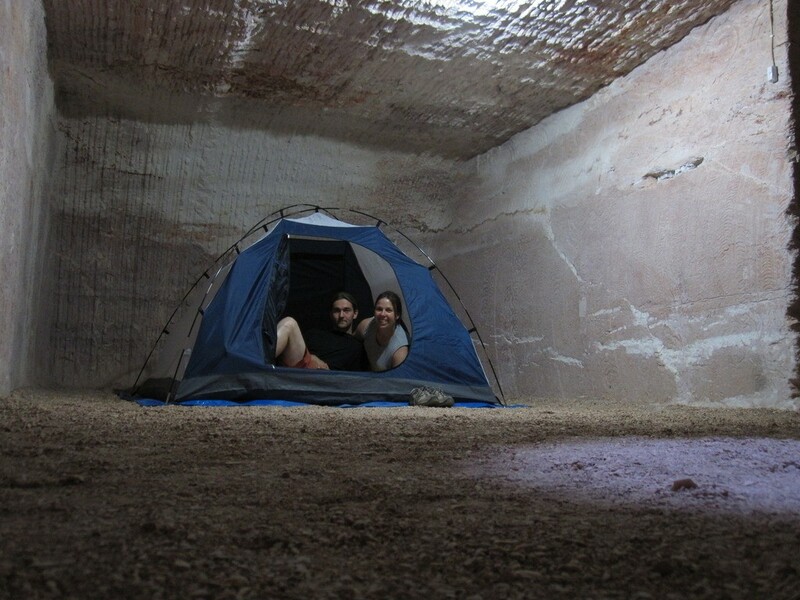 Most people live underground because in the heat of the Australian desert temperatures can reach 120 degrees Farenheit in the shade. It’s so dry and hot that hardly anything grows here and golfers, tough enough to brave the heat, only see artificial grass. And there is a very good reason for why people choose to live here. – opals. 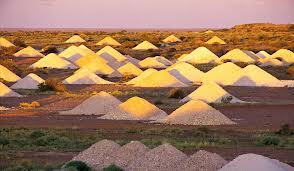 80% of the world’s opals come from Australia and Coober Pedy in particular. 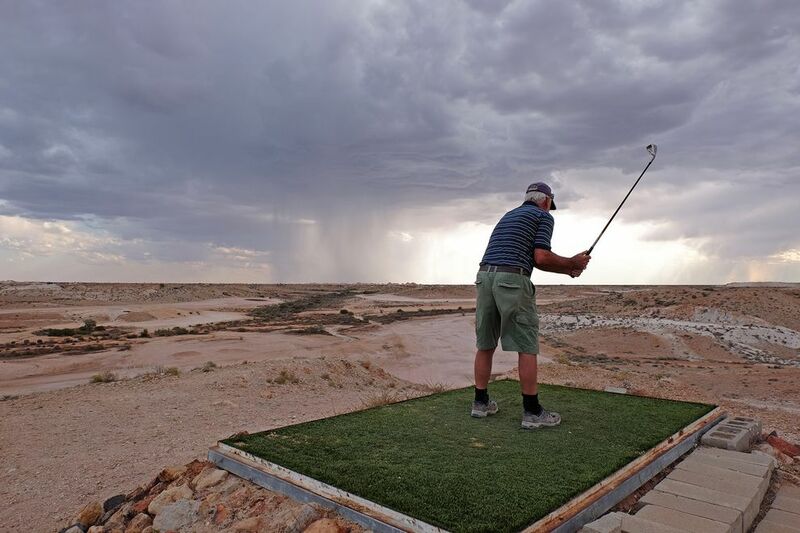 The surrounding environment of this part of the Australia interior is hot and dry but ithas occasional torrential storms. and that rain water gathers silicon from the surrounding rock material and that is then reprecipitated within the rock to form opal. 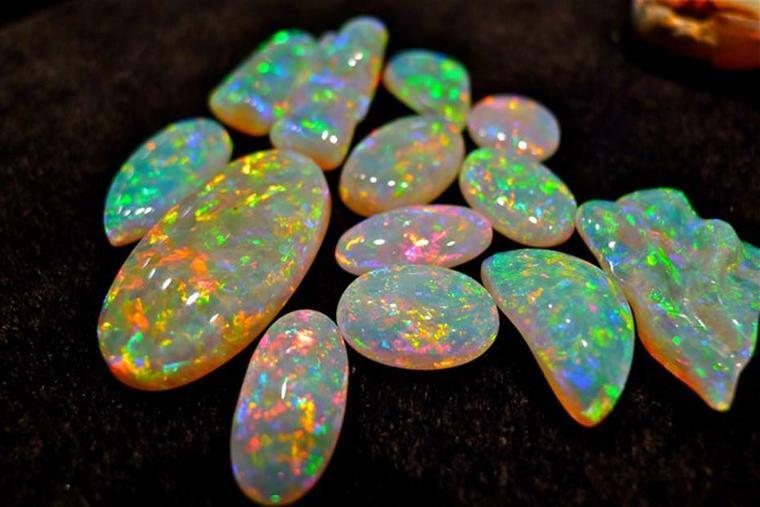 Opal is not easy to find and once discovered, like a diamond, needs skilful cutting to show off its spectacular colours. What make opals special is the play of colours internally, you see these strange slightly curved plains inside which as you turn the opal, change colours through the whole range of the rainbow. 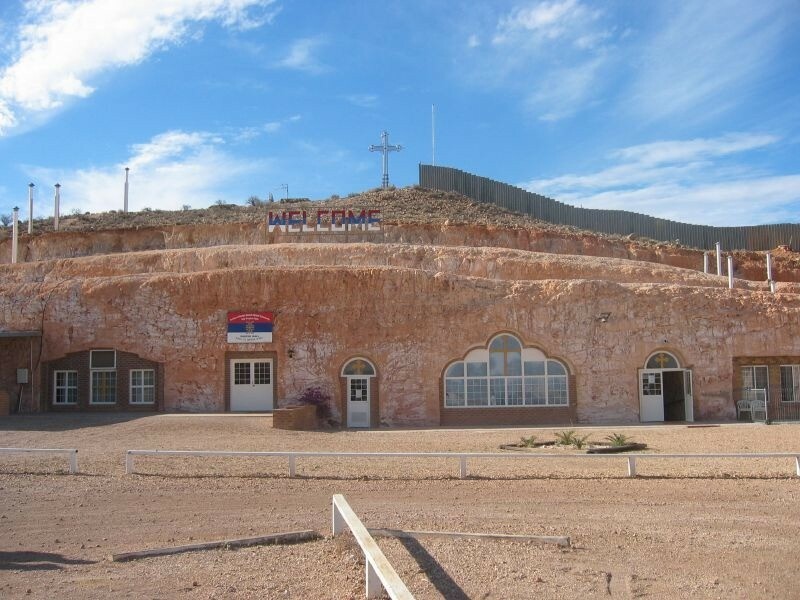 The discovery of opal here in 1915 didn’t just give birth to this underground town, it made it a wealthy one too. No surprise then that one of the underground homes here is a 17 room mansion and another has a swimming pool.